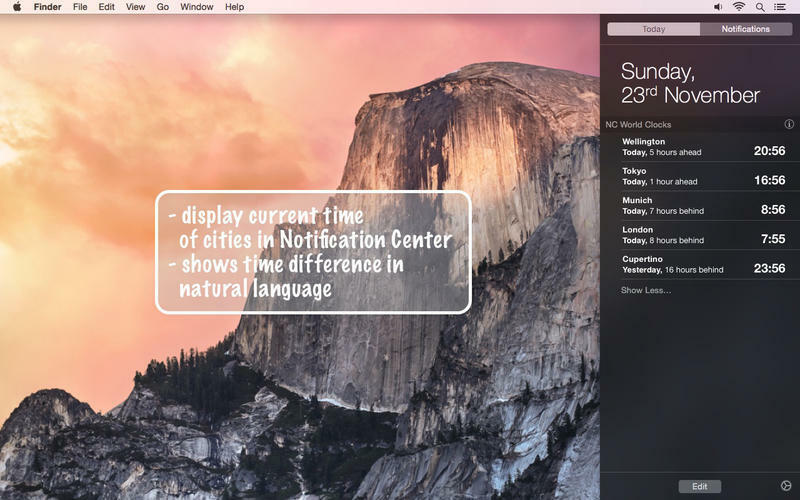 Display current time in Notification Center. Is there a better alternative to NC World Clocks? Is NC World Clocks really the best app in Personal Info Managers category? Will NC World Clocks work good on macOS 10.13.4? 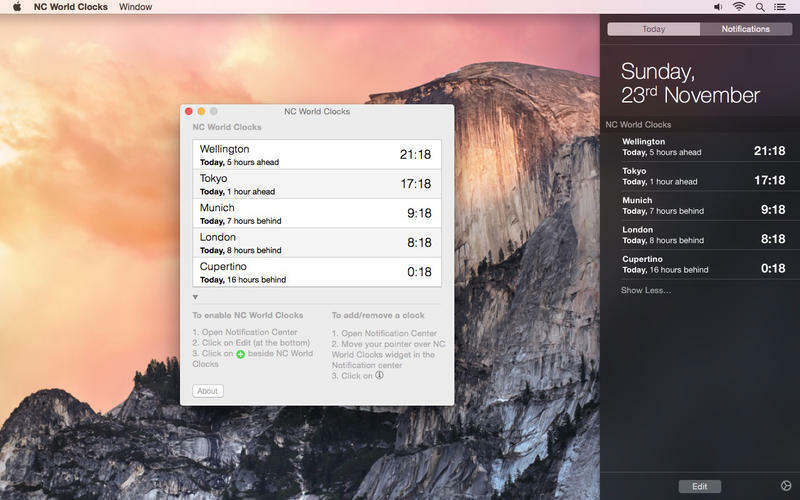 NC World Clocks displays current time in Notification Center. 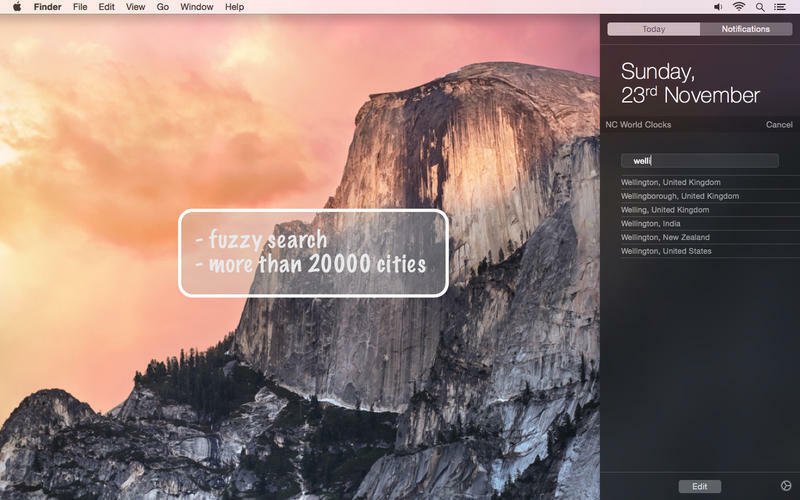 Add cities to the list to be informed of the current time in these cities! NC World Clocks needs a review. Be the first to review this app and get the discussion started! NC World Clocks needs a rating. Be the first to rate this app and get the discussion started!